Home » Marianne’s Blog » Who is the best builder in the neighborhood? Who is the best builder? I get asked all of the time who is the best builder in a neighborhood and if there is a builder I wouldn’t recommend. That’s a tough question because there are huge differences between builders just like there are differences in people and what is most important to them. This post is about how I see the differences and my view about new construction in Chapel Hill and the Triangle area of NC. Your part of the country may may be different! I usually start by saying that none of the houses are going to fall down. 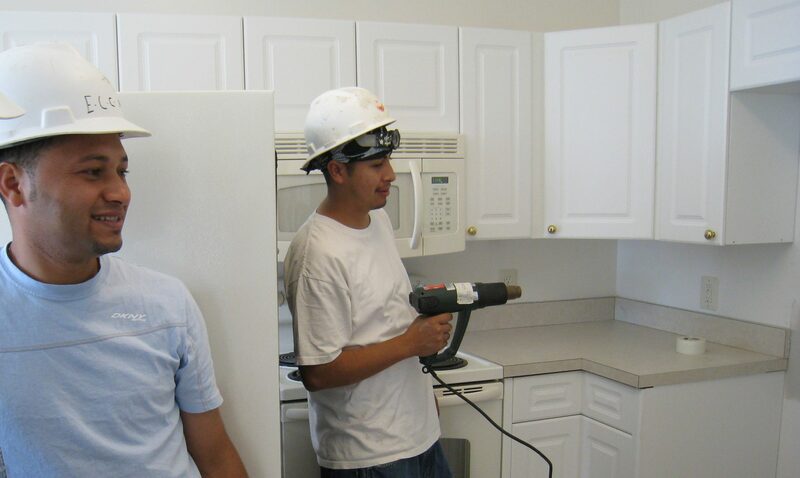 We have very strict building codes and inspections throughout the building process. Home plans must be engineered. A new home in the Triangle will be structurally sound. Peter Winkler with Homes by Dickerson working on a custom home plan. Sometimes when I talk about the different builders in a neighborhood I’ll throw out “Oh, they are a custom builder” or “They’re a production builder”. Usually I’m referring to how they do business as well as the quality of the house. There are basically three kinds of builders, production, semi-custom and true custom. Each is a totally different business and I don’t think builders can overlap, although some say they can. True custom is a buyer buying a lot, hiring an architect, developing detailed plans and specifications, bidding the house out, the buyer getting the construction loan and the builder working with the architect and buyer during construction. That doesn’t happen in the typical new home neighborhood. When I’m in a neighborhood talking about custom builders. I’m really referring to semi custom, a builder who may build a buyers plan or customize their plan, may have a designer or architect on staff to make the changes and will work with the buyer to get them the house they want. I first noticed it in the late 80’s. National home builders moved into the Triangle and bought up developed lots and land. They were different than our local builders. They understood the power of marketing and buying a dream. They had systems to build in quantity, the money to develop exciting floor plans, and carefully targeted marketing with beautiful model homes. I was sad to see it happen because I felt the small local builders had a pride in their work and were striving to always build a better home. How could a company building 100’s or even 1000’s of homes a year produce a quality product? Time has gone on and I realize now that there advantages and disadvantages to scale and size. Some of the factors in deciding who to choose to build your new home in a neighborhood are the lot, flexibility of the builder, quality-fit and finish, price and time frame. Are the builders lot choices important to you? Your choice of homesite may determine what builder you use. Sometimes the most important consideration is a wooded lot or proximity to the school or pool. Location is the most important factor for many. Does the builder have lots of flexibility in the plans and options offered? Do they let the buyers work with an architect to design a home or make changes to a plan and is their level of finish and quality high and consistent? Or, do they offer plans and options that are set choices (there may be lots of choices and options) but with little flexibility. Usually that makes for a lower price but the production part, building similar houses fast in a formula sort of way can feel very cookie cutter. Small homes on small lots can have good quality construction. The quality differences between production, custom and semi custom may not be noticeable when the home is new but is evident after time passes. Paint starts fading, the prefinished floors look tired, there may be dips in the roof when trusses sag. I can tell as soon as I walk in a house if the builder is a production builder. The window casings, floor type and finishes, hardware, light fixtures, attic framing, paint, carpet all tell a story about what went on during construction. It’s hard to describe. And it may not matter. Buying a house is about so much more than the house. It’s your lifestyle too so it’s a balance that you need to find, a balance that works for you. Production builders know the cost of each nail. Production builders know their costs down to the last nail. They buy in quantity and negotiate the best prices with their sub contractors. Their home pricing usually starts with a base price and features that you can improve as you like within your budget. I have found that most buyers will go 10%-20% over the base price with options and plan changes. It’s usually easier to buy from a production builder. Often they own their own mortgage company. There is an initial deposit usually between 1-4%. Then you pay for a portion or all of your upgrades. No more funds will be needed until settlement. Deposits will go toward your down payment when you close on the home. Custom builders will usually charge more per square foot. Some custom builders in a neighborhood will will want you to get your own construction financing others may want a non refundable deposit and they will get the construction loan. Often the deposit is 10-20%. You just have to ask and sometimes negotiate it. There are advantages to both ways but that’s for another post. You will get the most house for the money with a production builder. Will it be the house you want? That depends on your expectations and how much you want to spend on upgrades. How quickly do you want to be in your new home? Production builders often have a shorter time to build by a couple of months although that’s not always the case now with the market heating up. Builders are having lot release lotteries with home deliveries being pushed into 2015. These are usually large national and regional builders. You may also want to consider a newer resale because it’s so easy. You know what you are getting and it’s ready to go. The systems will all be under warranty and the first buyers have lived through the hassle of having contractors in the house on and off for the first year doing punch work. 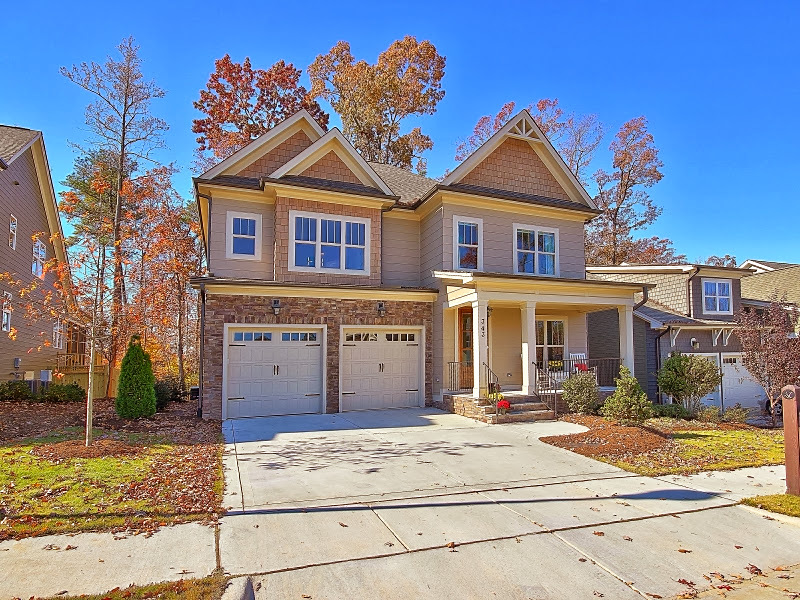 Take a look at an example of the perfect resale house in Briar Chapel in Chapel Hill NC. You can ask the builder for references but the best way to find out if you will be deserted after the sale is to ask the builder for the contact info for their past 5 sales. Then follow up or have your agent follow up. People are different so don’t expect all of the references to be glowing. You’ll see a pattern after talking with several of their past clients. So, who is the best builder? The best builder for me may not be the best builder for you. A good agent who knows the neighborhood and the different builders can help you see the differences and focus on what is important for you and your family so you make the best decision choosing your new home.